The Farmstead room is decorated with a farming motif. 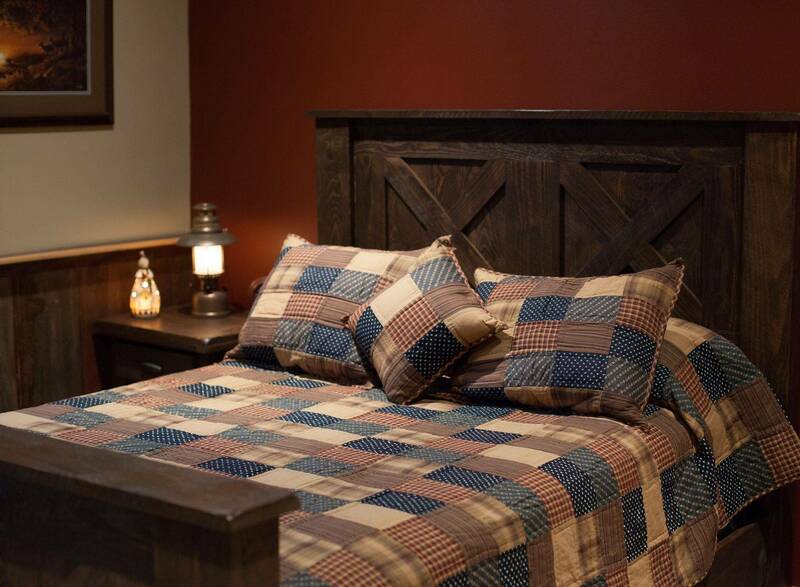 This large room has a queen size barn bed, barn board wainscoting, a desk with tractor seat chairs, and rolling closet barn door. The bathroom for this room is just a couple steps across the hall. 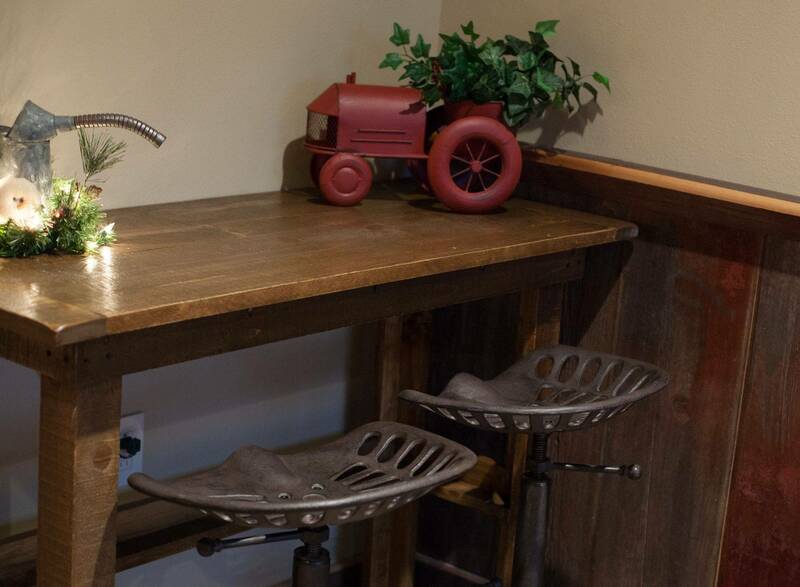 If you want to feel like you are staying back home "on the farm" then the Farmstead room is perfect for you. The Farmstead can be reserved for $130.20 (taxes and breakfast included) on weekdays (Sunday - Thursday) from May- October or any night November - April. If you would like to reserve all three rooms or reserve the Farmstead room for three or more nights, please ask about our discounted rate. The Farmstead room may also be reserved for a discounted rate if you do not require breakfast. Call or e-mail for those rates.